Dolce Italia recently moved to this new location. An Italian restaurant which is a stand-out in Gulf Gate…Dolce Italia. The Gulf Gate area of Sarasota is densely populated with restaurants, pubs, bars, food shops, and eateries. This concentration of food and drink is a blessing for restaurant patrons for the many options from which to choose. At the same time, this competitive concentration poses a challenge for restaurant owners to create their own unique identity. Dolce Italia is rising to the challenge and beginning to distinguish itself in more ways than one. 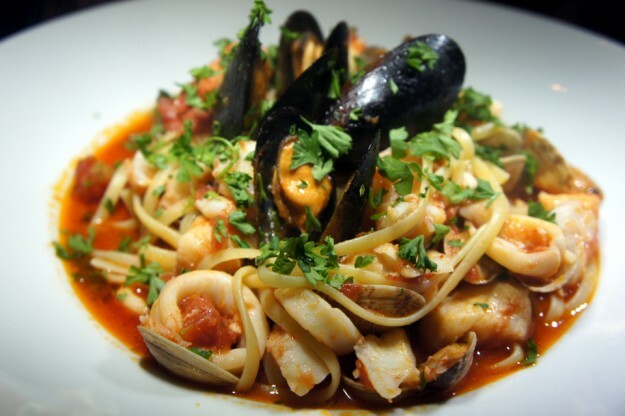 For starters, Dolce Italia is more like a traditional osteria (a place where the owner hosts people) than a typical Italian/America restaurant. 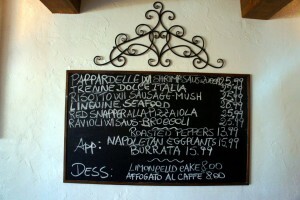 Very casual in style and décor, one almost feels like you are sitting in your Italian grandmother’s kitchen. 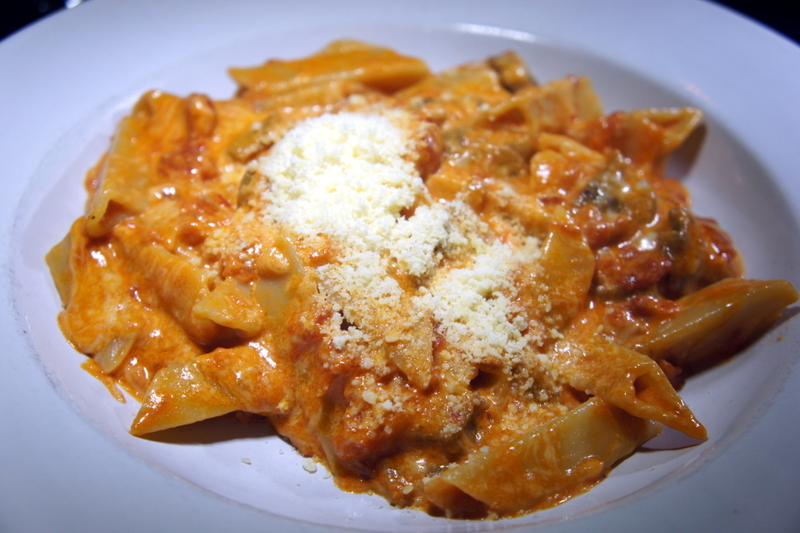 Authentically Italian, high quality ingredients are used to prepare the stand-out “home-made” dishes. With a tight menu offering salads, pasta, a few entrees and daily specials, the emphasis clearly is on high quality food preparation vs. extensive menu options. 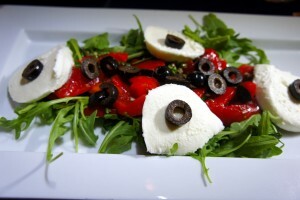 Insalada di Spinaci: Baby spinach, tomatoes, onion and goat cheese $6.50. Very fresh, good beginning to a delicious meal. 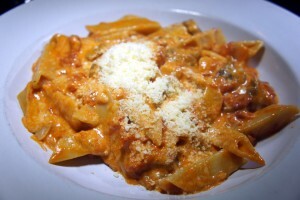 Good sized portion, cooked “al dente”, a real nice comfort food. Generous portion, rich sauce with plenty of lobster, just wonderful. Beautifully presented, very light, not overly sweet. Dolce Italia offers a limited yet adequate selection of beer, wine, and soft drinks to accompany your meal. We found the service to be friendly, attentive, and sincere; a delightful experience where you feel like family. 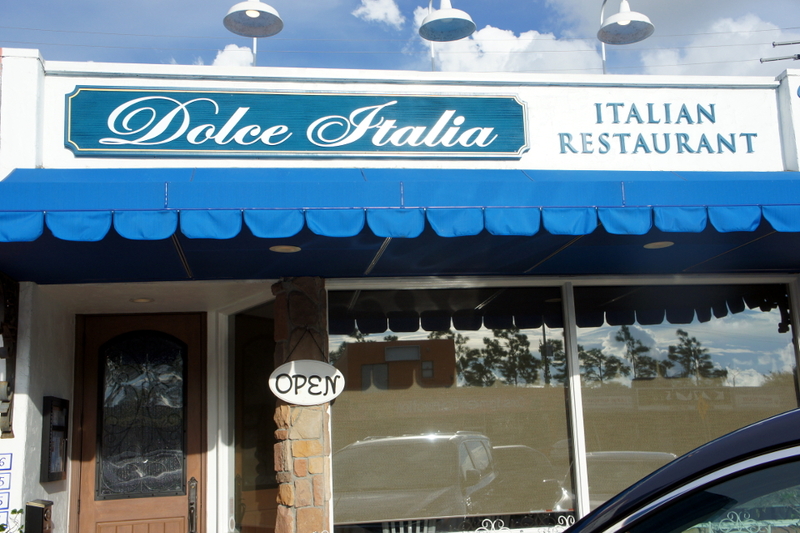 Some friends of ours suggested we try Dolce Italia and we are glad we did! 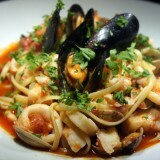 Although Dolce Italia is not fine dining, the dining experience at Dolce Italia is mighty fine! SRQ Reviews, the restaurant guide you need to find the best dining and new restaurants in Sarasota, Florida. Need some platters or sweets for a party or gathering? Dolce Italia offers a significant selection of Italian specialties for catering and take-out.